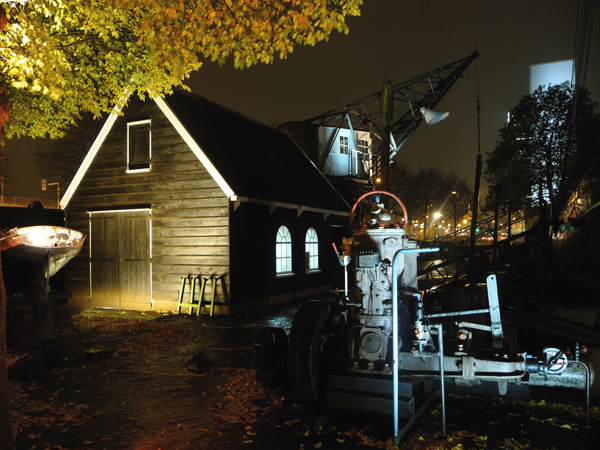 The historical shipyard ‘Koningspoort’ that is part of the harbour museum, but is also still in service, is located in one of the oldest harbours in the city centre of Rotterdam. A lively area in the evening that is known for it’s bars and restaurants situated a long the harbour and looking out on to the shipyard. 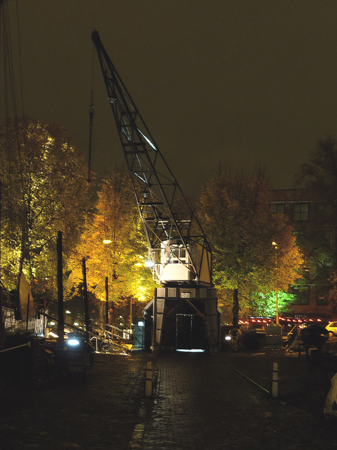 As part of the total renovation of the urban area around the harbour, new pavements, trees and so on, the lighting was also taken into account. 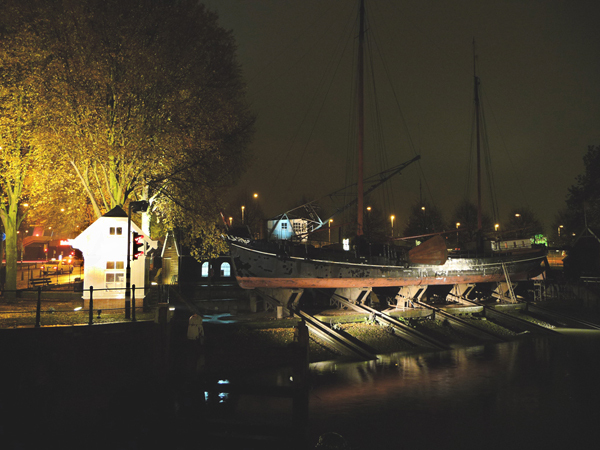 Not only the public lighting but also the lighting of the historical buildings adjacent to the harbor.The shipyard was the first lighting project to be completed within the renovation scheme. 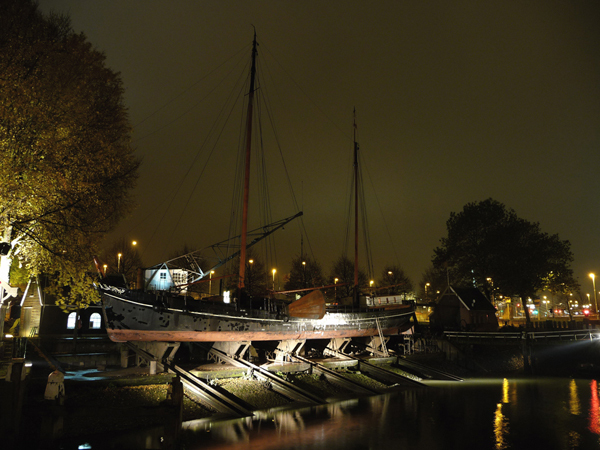 An area that was perceived as a black spot, is now a friendly space that invites the visitor to take a walk around the harbour and through the shipyard. On one hand the objects of the shipyard are lit each in the most suitable colour white, cool or warm, depending on the material, creating depth between the objects. 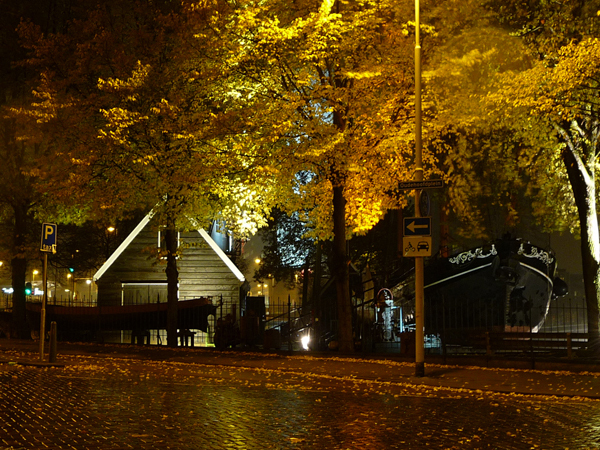 And on the other hand trees were lit as a backdrop to the machines, boats and buildings. Even reflections of water are used to lighten the ships on the boat ramp. The lighting equipment used was selected to it’s industrial look or had to be inground fixtures. The chosen light sources were LED and ceramic discharge metal halide for durability and power.